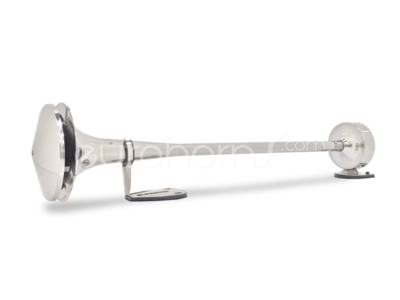 FIAMM TA150 Stainless Steel Truck Horn (62cm). The low tone version of the FIAMM exterior truck horns. Often combined with the high tone TA180. is often installed at the trucks of Mercedes, MAN, and Iveco. Our advice: The TA150 can be easily combined with the high tone TA180 to generate a powerful two tone sound. and tubing (8mm) that at least produces 4bar - 8bar pressure.